BYU misses Jamaal Williams. Yes, quarterback Taysom Hill is a fearsome running threat. But Williams was easily the Cougars’ best rushing option behind Hill, and his decision to withdraw from school and redshirt this season (according to the Salt Lake City Tribune) will be a significant blow to BYU’s offense. The Cougars’ starting tailback (according to BYU’s depth chart per SB Nation) is Algernon Brown, a junior who had 68 total carries last season. That’s not the same kind of threat Williams would have provided. If the Blackshirts are able to focus on Hill away from BYU as a runner, and still handle Brown and the rest of the Cougars’ rushing attack, Nebraska’s chances for success increase dramatically. Collins Makes The Breakthrough. Defensive tackle Maliek Collins looks to be the Blackshirts’ leading light. He’s been touted as Nebraska’s best player, with ESPN draft analyst Todd McShay putting him in the first round of next year’s NFL Draft. But Collins has loftier goals. According to Sam McKewon of the Omaha World-Herald, Collins is aiming for “Suh-like stats” in his final year at Nebraska. If Collins is able to approach those numbers – and, more importantly, be the kind of disruptive force up the middle Suh was in 2010 – then BYU has a big problem on Saturday. The Kids Are Alright. Take a look at Nebraska’s depth chart for BYU (from HuskerMax.com), and one thing you’ll notice is a lot of youth. Redshirt freshman Nick Gates starting at right tackle. True freshman (!) Dedrick Young starting at weak-side linebacker. True freshman Jordan Ober starting at long snapper. Redshirt freshman Jerald Foster at backup right guard. Redshirt freshman Trai Mosley as a third cornerback. True freshman Aaron Williams as a third safety. You get the idea. This is a big stage and a tough opponent for newbies to shine. If Nebraska’s youth movement pays dividends on Saturday, Nebraska’s chances of victory increase significantly. Taysom Throws It. We’ve heard all offseason about Hill being a dangerous rushing threat. But if Hill is able to throw the ball effectively, BYU could cause real problems for Nebraska. New defensive coordinator Mark Banker’s quarters scheme works in part by sneaking a safety into the box to play the run, which means there is extra stress put on the secondary in pass coverage. Combine that with BYU’s big receivers (six-foot-six Nick Kurtz and six-foot-six Mitch Mathews) against Nebraska’s cornerbacks (six-foot-one Daniel Davie and six-foot-one Joshua Kalu) and the Cougars could have a favorable matchup to exploit. If BYU is able to get a passing attack started, forcing Nebraska defenders out of the box, Hill should have more space to run and gouge the Blackshirts on the ground. Tommy Turns It Over. This dope has written incessantly over the offseason about Armstrong’s struggles with turnovers, carrying a career 1.55 touchdown-to-interception ratio (31 TD, 20 INT) into this season. While we don’t know what Riley’s offense will look like this year, we know at Oregon State he favored a pro-style offense with short, controlled passing – the kind of passes that Armstrong has struggled with in the past. If Armstrong struggles picking up the new offense, and gives the ball to BYU a few times, the Cougars have more than enough talent to pull off an upset. Opening Day Jitters Strike. 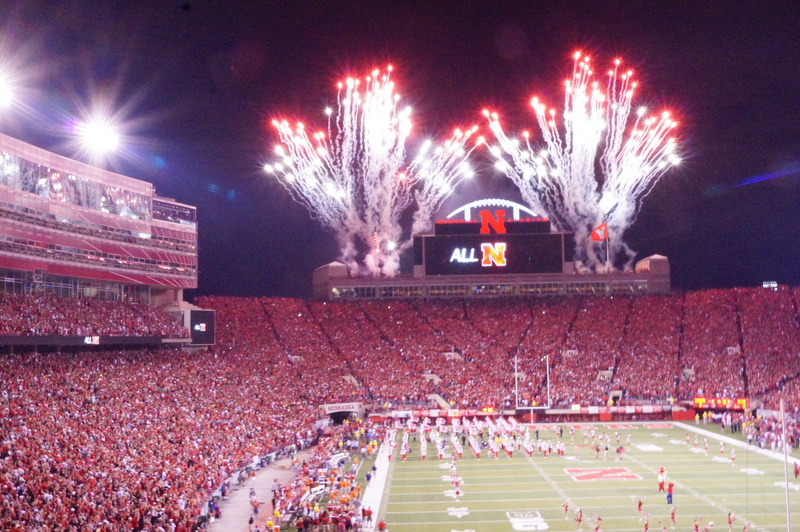 Saturday will mark the start of a new era for Nebraska football. But it will also be the first time that both Riley’s new offense and Banker’s new defense have been tested out against a team wearing different colors. And not just any team. BYU has plenty of talent and one of the best quarterbacks Nebraska will face all year. If there’s growing pains for either the offense or defense – or both – then Nebraska could easily be staring down the barrel of an 0-1 start to the 2015 season.